What Are the Best Joint Supplements for Dogs? This Vet Guide Can Help! Takeaway: There are a number of supplements that can improve your dog’s joint health. 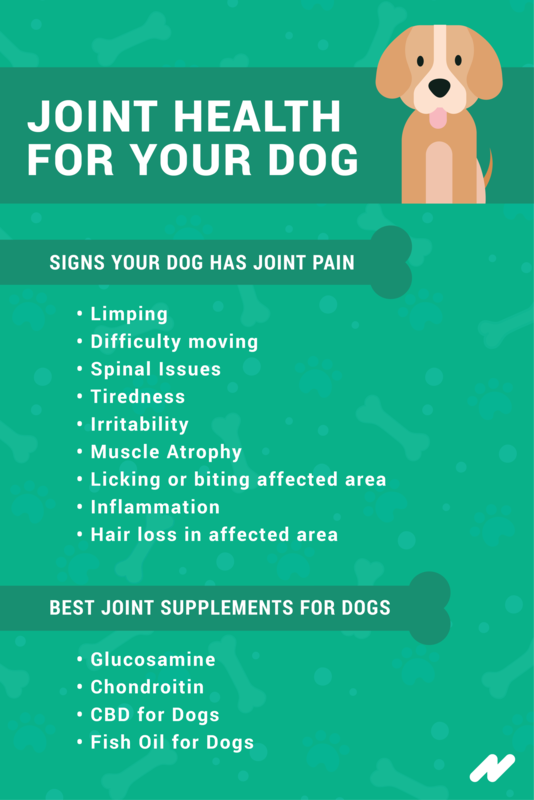 Learn about key ingredients such as glucosamine, chondroitin, CBD, turmeric, and a few others that will reduce inflammation, lubricate the joints, and reduce pain for your furry friend. How Can I Tell If My Dog Needs a Joint Supplement? As our precious fur babies get older, their level of activity begins to decrease. And much like us, dogs age at different rates based on their size, breed, and overall health. However, it is possible that your dog’s inability to move around or be more active has absolutely nothing to do with age. Your dog’s recent lack of movement could be attributed to muscle stiffness, joint pain, and possible arthritis. The good news is that regardless of your dog’s size, breed or age there are a number of joint supplements for dogs that can help reduce, improve, and occasionally eliminate the joint pain your dog may be experiencing. Glucosamine is a natural substance found in your pet’s body. It produces glycosaminoglycan in your dog’s body to help form and repair cartilage. As your dog ages, the natural production of glucosamine in the body slows down, resulting in discomfort, stiffness, and joint pain. Research has found that supplements of glucosamine for dogs can help reduce the wear and tear on your dog’s joints by rebuilding cartilage to restore your dog’s joint health and activity level. Even though glucosamine is the most common ingredient in dog joint supplements, there are additional ingredients which may increase the potency and effectiveness of dog joint supplements; glucosamine + chondroitin. Chondroitin is another natural substance found in your dog’s cartilage. It helps cartilage retain water, and when paired with glucosamine, provides even more benefits for your dog’s joints. You can find glucosamine and chondroitin as a key ingredient in many dog foods formulated for performance and senior dogs, as they tend to be at a higher risk of developing joint disease and injury. This liquid joint supplement for your dog is 100% natural and safe. The active ingredients include glucosamine, chondroitin, MSM, and hyaluronic. It helps prevent and reduce swelling and inflammation of the joints. It improves mobility by revitalizing your dog’s joints cartilage and body tissues. Its liquid form makes it one of the best absorbed joint products on the market compared to pills, chewy snacks, and powders. This product retails for about $39 and is suitable for dogs of all life stages. You won’t have to cover these babies in peanut butter to trick your dog into eating them. These tasty soft chews will be an instant hit with your treat-loving dog who won’t think twice about gobbling these down. Dasuquin contains avocado/soybean unsaponifiables (ASU) which have shown to help protect cartilage and improve joint function in dogs. Combined with glucosamine and chondroitin, these three ingredients support cartilage production and block the enzymes that break down cartilage in your pet’s body. Depending on the size of your dog, you can expect to pay between $40 – $46 per bag. These bite-sized dog chews are designed to maintain comfort and mobility through all stages of your dog’s life, not just while suffering from joint pain. Glyco Flex III is highly recommended for active and competitive dogs to maintain top form. This joint supplement also provides support for dogs showing signs of aging and discomfort as well as those with limited mobility after undergoing orthopedic surgery. This veterinarian approved dog joint supplement retails for $39. 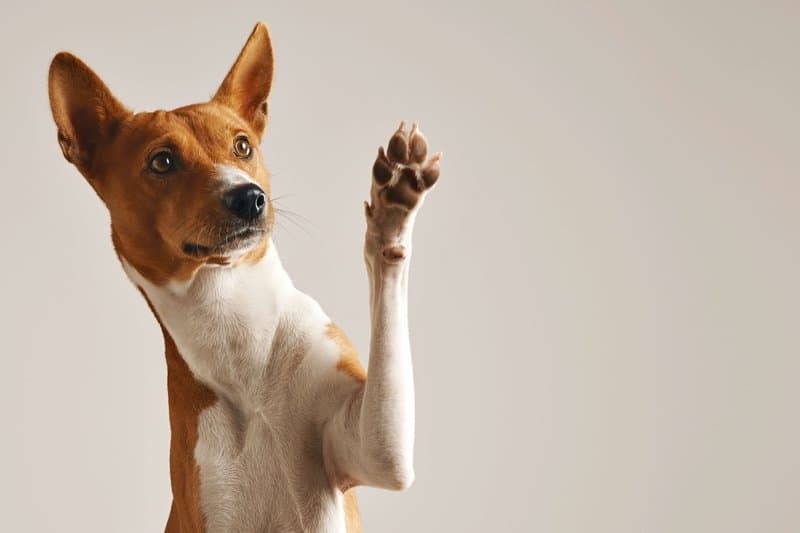 How Much Glucosamine Is Safe for Dogs? The typical dosage for dogs starts at approximately 500 mg of glucosamine and 400 mg of chondroitin per 25 lbs divided every 12 hours. However, most dog joint supplement will have the proper dosage on the product label. It can take anywhere from 4-6 weeks to see the beneficial effects of giving your dog a joint supplement. It is not uncommon for your dog to stay on a joint supplement for his or her entire life. They will typically start with a loading dose for the first few weeks and over time reduce intake to a maintenance dose. Although side effects are rare, if you notice that your dog has diarrhea after taking a joint supplement, you might want to reduce the daily dosage. 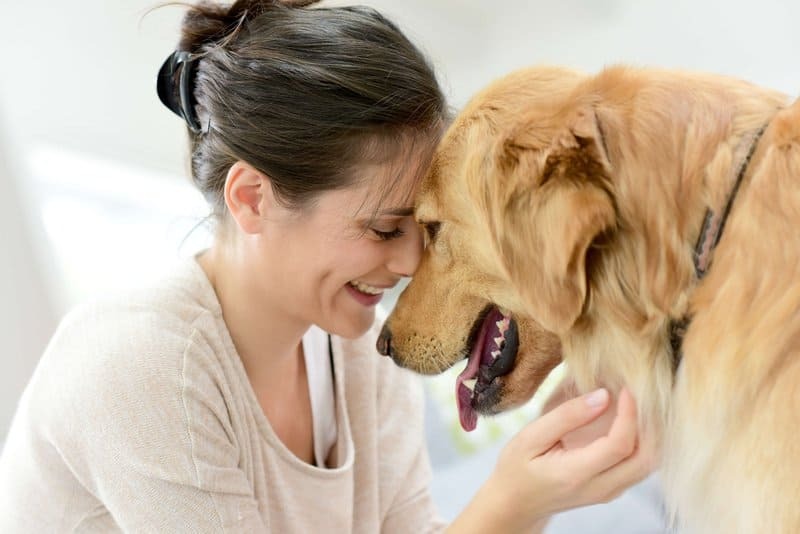 You’ve probably heard of the wide range of health benefits that CBD can provide to humans, but did you know that it can also improve your pet’s health? CBD is known to reduce anxiety, stress, and seizures in pets. But does it have the capability to reduce joint pain and arthritis in dogs? Well, it depends on the CBD brand you buy. In case you need a quick crash course on CBD: CBD is a compound derived from hemp that is referred to as cannabinoid. But unlike medical marijuana, CBD is THC-free, which means that there is no psychoactive effect or “high” when it is consumed. While THC is toxic to dogs, CBD is a non-psychoactive that is harmless to dogs and has many of the same benefits as medical marijuana. CBD works through a system in the body called the endocannabinoid system that every mammal has. This system attracts the cannabinoid compounds and spreads them throughout the body to help with a variety of conditions that affect both humans and dogs (i.e., mammals). There is a substantial body of research showing that CBD can reduce the symptoms of arthritis and slow its progression in dogs. Fighting inflammation is key in managing the progression of arthritis. CBD has powerful anti-inflammatory and pain-relieving effects on your dog’s joints. When it comes to CBD joint supplements for dogs, we recommend that you give King Kanine a try. You can choose between 75 mg, 150 mg, or 300 mg of CBD depending on the size of your dog. The King Kalm CBD Oil for pets is made from the highest-quality, organic CBD oil. It contains krill oil, which is rich in omega-3 fats and its known for its powerful antioxidant and anti-inflammatory properties. Combined, these two ingredients work together to lubricate your pet’s joints, reduce pain, and promote a healthy immune system for your pet. 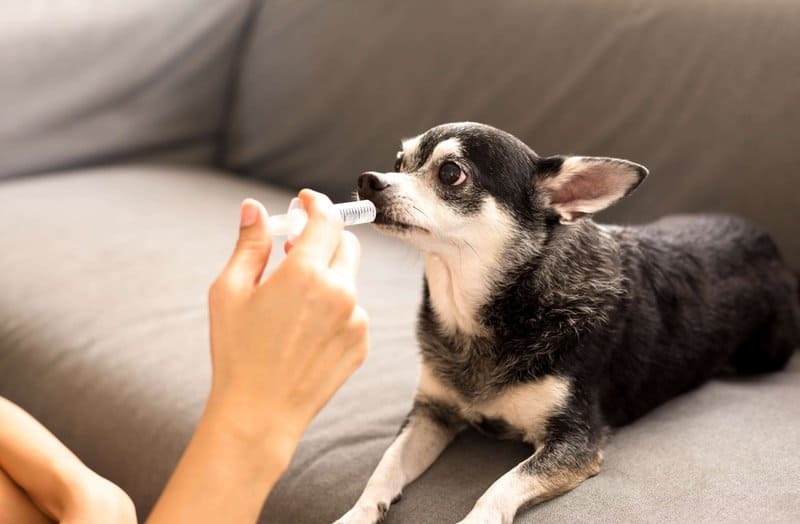 The CBD oil comes in a 30ml bottle with 1 oral syringe for easy application into your pet’s mouth. 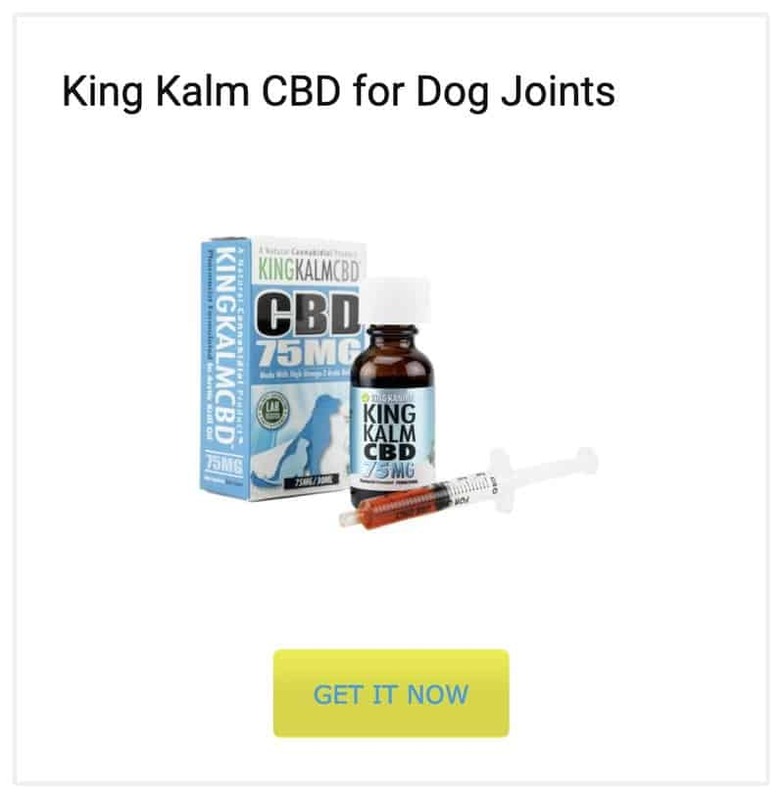 Many pet owners who have tried the King Kalm CBD oil rave about the health benefits that it has provided for their four-legged friend’s joints. It has helped dogs of all ages, shapes, and sizes who suffer (or have suffered) from back pain, leg arthritis, hip dysplasia, and even lymphoma. Fish oil is also one of the best joint supplements for dogs. Fish oil can greatly improve your dog’s skin, coat, joints, and heart health. Fish oil supplements contain two essential fatty acids: EPA and DHA. Both of these omega-3 fatty acids are only found in limited quantities in dogs. The EPA in fish oil supplements for dogs act as an anti-inflammatory to help combat conditions that cause inflammation of the heart, kidneys, skin, and joints—such as arthritis. Fish oil supplements can also reduce itchy skin, dandruff, and inflammation caused by allergic reactions. And of course, there’s always the added benefit that your pet will have a shiny, healthy looking coat. In some animal studies, fish oil supplements have slowed the growth and progression of cancer in dogs. Though more studies are needed to reach conclusive results, some veterinarians recommend it for any pet with cancer. If you wish to start giving your dog a fish oil supplement, we recommend you give Iceland Pure Pharmaceutical Grade Salmon Oil for Dogs a try. Unlike many other products in the pet industry, this pharmaceutical human grade supplement does not have rosemary as a preservative, as studies have shown that in certain occasions such extract can cause neurological problems, seizures, and anemia. Iceland Pure has been known to decrease inflammation, increase stamina, improve the immune system, decrease shedding, and reduce joint discomfort in dogs. You can purchase a 33 oz of this oil for just $25. As your dog ages, years of wear and tear to their joint cartilage may cause issues such as limping and decreased energy levels. Senior dog joint supplements can help make life easier for your aging dog and help improve his or her mobility. 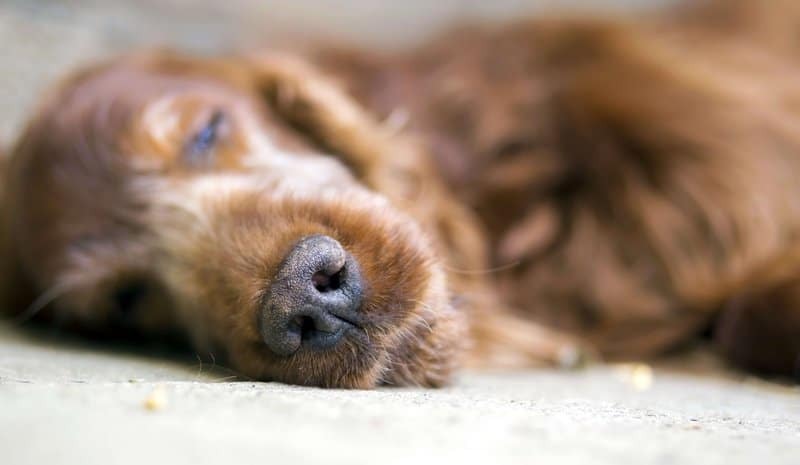 If your dog appears to be suffering from joint discomfort, speak with your veterinarian to determine if prescription pain medication is needed. 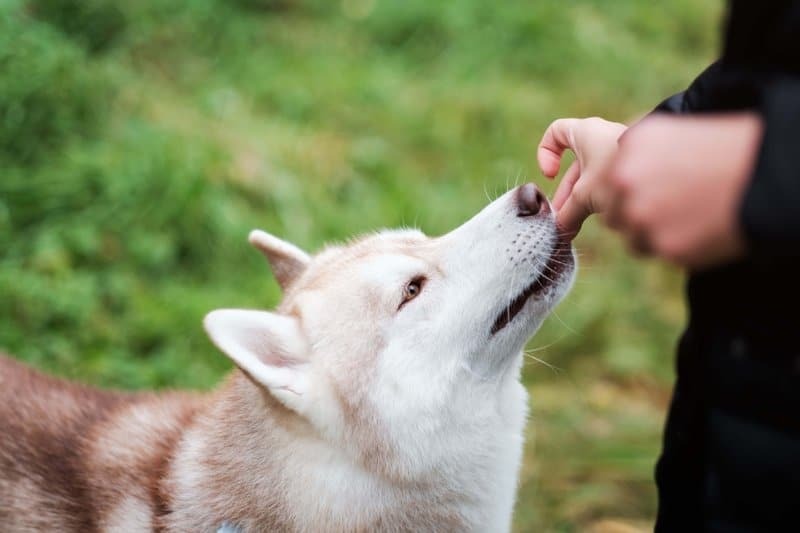 For temporary relief, however, you can try to give your dog Super Joint Enhancer Bite-Sized Chews. This senior dog joint supplement will help your pet walk, jog, and run with more ease. It can improve your dog’s flexibility allowing your pet to climb stairs and jump. Even if your dog is on prescription arthritis pain medication, these chicken liver flavored bite-sized chews are safe to administer to your dog. A bag of 60 chews for your medium-to-large dog will cost you a little under $20. If you’re looking for an organic joint supplement option for your pet, then you should look into buying Organic Pet Superfood JOINTS. This potent nutritional supplement is packed with natural antioxidants to help maintain circulation and reduce inflammation in your pet’s joints. The key ingredient NEM (natural eggshell membrane) is clinically proven to support animal joints and soft tissues in the body. This organic joint supplement for dogs comes in powder form. One tube of JOINTS costs $30, contains 60 grams, and yields a 2 month supply for a medium-to-large sized dog. Another excellent option for organic and natural joint supplements for dogs is Infinite’s All-Natural Hip & Joint Supplement for Dogs. This unique supplement uses organic turmeric curcumin as an ingredient to ease painful inflammation around the joints and enable your dog to feel more mobile. Several clinical studies have proven the anti-inflammatory and anti-arthritic effects of turmeric. Tumeric for dog joints — who knew! Simultaneously, the proven combination of glucosamine chondroitin will further help rebuild healthy cartilage tissue and retain joint flexibility for your dog. The MSM in this supplement also acts as a natural pain reliever and as an antioxidant to help maintain healthy cells. This supplement is safe for dogs of all sizes. One bottle contains 90 chewable tablets and retails for just under $30. Can you give human glucosamine to your dog? The short answer is yes, but you need to read the full list of ingredients in any human supplement you plan to use on your pets! Glucosamine is an amino sugar and is typically the same regardless if it’s in a human or dog supplement. However, you do need to watch out for the added ingredients that might be in human supplements versus pet supplements. Many human joint supplements contain additional ingredients such as sweeteners and flavor-enhancing that may be toxic and unsafe for your dog. For example, xylitol is used in many human joint supplements, and while this ingredient is harmless to humans, it’s fatal for your dog. Likewise, any chocolate flavored-anything would not be suitable for your dog. So, we recommend you save yourself the trouble and buy glucosamine supplements designed for dogs. 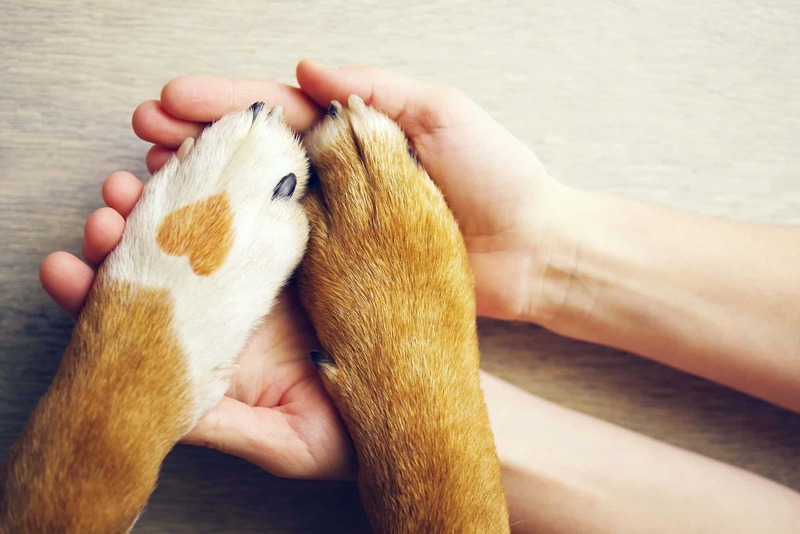 Treat your pet’s health as you would your own by taking the time to research and find the perfect joint supplement for your four-legged fur baby, family member, and friend.